Gabapentin is a generic drug that was originally designed for use as an anti-convulsant, or an agent that decreases the incidence of seizures. It has the ability to modify nerve activity and associated hormones and chemical messengers, so as to induce a state of reduced seizure potential, and quite often neuropathic (nerve related) pain relief. It is often used in the prevention and management of seizures as well as for relief of nerve pain particularly due to “shingles”. Gabapentin, more commonly known as brand name Neurontin, is available in multiple dosage forms, including a delayed release tablet, a solution for the paediatric patients, and the most common capsule form. Its safety has been demonstrated, and is prescribed for children as young as three who may be experiencing partial seizures. The most common commercially available Gabapentin capsule strength is either 300mg or 400mg, although a higher strength 600mg or 800mg capsule can be found on the market to accommodate increasing dosage regimens. Gabapentin is also available under the brands FusePaq Fanatres, Gabarone, and Gralise. Pfizer markets Neurontin, the best known brand of gabapentin. In 2004, the FDA granted approval for the manufacturing and distribution of generic gabapentin. Some of the companies that market the generic form of this drug include Teva and Greenstone. In 1994, the U.S. Food and Drug Administration approved gabapentin as an adjunctive medication for treatment of seizures. 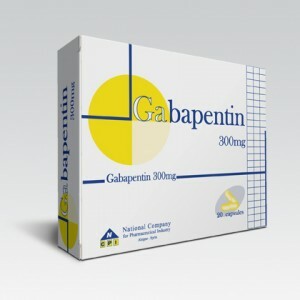 Typically Gabapentin (Neurontin) is prescribed for treatment of primary seizures in the adult population, and reserved for use as an agent for control of partial seizures in paediatric patients. Later in 2002, the U.S. FDA approved the use of this drug for treatment of postherpetic neuralgia or severe nerve pain as a result of Herpes-Zoser infections, also known as shingles. It is not entirely clear how gabapentin prevents seizure or treats pain. However, this medication resembles the chemical structure of a certain chemical messenger found in the brain (neurotransmitter) called gamma aminobutyric acid (GABA). Because of its chemical structure, gabapentin is considered as a GABA-analogue, and possibly works like this neurotransmitter. It increases the levels of GABA in the brain which is thought to be low in patients with seizure disorder. Take gabapentin exactly as prescribed by your healthcare provider. If you have any questions or do not understand the prescription label, ask your healthcare provider or pharmacist. Oral gabapentin is taken by mouth, with or without food, followed by a full glass of water. It must be taken at evenly spaced times to maintain desired blood levels. Do not substitute other drug formulations, particularly the extended release tablets, for other drug preparations (such as tablets or oral solution) of gabapentin. Be sure that you take only the gabapentin formulation specifically prescribed by your healthcare provider. If taking gabapentin extended release tablets, do not chew, cut, crush, or remove the cover. It should be swallowed whole to achieve desired drug’s steady release. If prescribed with half-tablet dose, carefully divide the tablet into two along the score mark. Use the remaining half as part of the next dose. Properly dispose unused half-tablets that were not used within several days of being split. Do not discontinue taking gabapentin even if you feel well. Do not stop taking this drug without consulting your healthcare provider. Consult your healthcare provider if your symptoms persist or worsen after taking this medication. The prescription medicine Lyrica is a brand of the generic drug pregabalin and comes in capsule and oral solution form. Lyrica can treat seizures, relieve nerve pain and prevent anxiety. Lamictal is the brand name for the generic drug lamotrigine, an anticonvulsant agent used to treat bipolar disorder and epilepsy. An antiepileptic or anticonvulsant drug, Dilantin is the brand name of phenytoin sodium. Phenytoin was first manufactured by a German chemist in 1908 but wasn’t put to use until 30 years later when its effectiveness at controlling seizures was discovered. Tegretol (Carbamazepine) is a medication that is prescribed to patients in order for them to manage certain types of seizures, Trigeminal neuralgia, epilepsy and is sometimes prescribed to treat the symptoms of bipolar disorder.